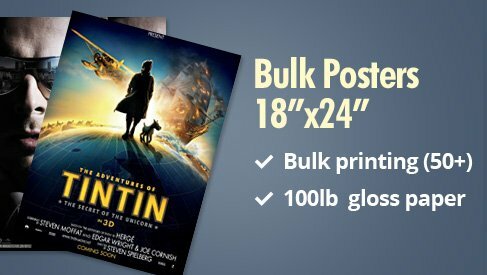 At PrintPapa, we get a lot of orders for posters often. From brand promotion to event marketing, there are lots of reasons why our customers want posters to be printed. But what really surprises us that still there are many who don’t really understand the potential of posters clearly and how it can take your marketing quite far by maximizing the visibility and with so many other benefits. So, if you are planning to opt for poster printing and yet in a dilemma whether you should go for it or not, then you are in the right place. 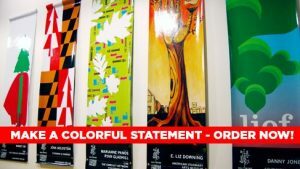 Here, we, the reputed online printing services California, are offering you some points that will tell you what purposes your posters can take care of. 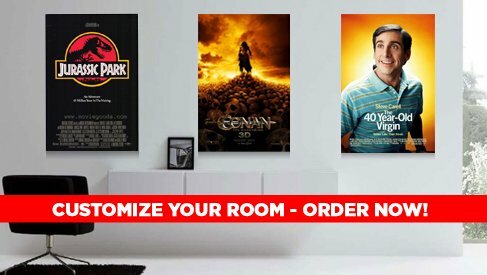 When you are opting for custom poster printing, it is necessary that you think of displaying them at the most popular spots around the city. It will be helpful for you to fetch more and more attention to your brand or the event you are promoting. If you are hosting a music gig or having a huge sale at your store, the poster will be the perfect outdoor display tool at stations, bus stands, and subways to promote the whole endeavor and get you the maximum visibility. When you are launching your new brand or showroom, posters can help you in spreading brand awareness. When a large-sized poster is displayed at a very popular joint in a city, it is sure to grab eyeballs and get the required attention for your brand. Posters are for direct marketing with a clear direction as you are mentioning a CTA with all the necessary contact information. So, if you are planning to get more footfalls and sales in your showroom or store, it will never feel you. So, now as you know about these purposes that the posters can solve, what are you waiting for? Come to us at http://www.printpapa.com for online printing services. Call us at 408-567-9553. This entry was posted in Marketing on March 20, 2019 by Mitali Ghosh. Are you planning to inform a certain circle of customers and potential clients about your business and wondering how you will be able to create maximum impact? Well, when it is in digital media, there are certainly a plethora of options available. But when you are thinking of making it big with the promotional tools that you can hand them over with, then choosing booklets can be the right move for you. So, when you are thinking of ordering a limited number of booklet printing with us for the first time, various steps can make you feel overwhelmed. Though these are very simple steps, yet, for you and for all our customers out there, we are trying to simplify the process of ordering booklet printing services from us. Here, we will be explaining the entire process with our 5.5*8.5” Booklets and Catalog page. Take a look at the following points to know more. Once you are on the 5.5*8.5” Booklets and Catalog page, take a look on the right hand side of the page from where you will be able to choose the page for your cover. From gloss, matte and uncoated options of different thickness, choose one and move to the next option below for the print. You can customize it by choosing color or black and white. You can also choose whether you want the inside to be printed or not with our 4/4 option. Next, you need to choose the print and the pages that will be inside. The pages will be 70-80lb thick gloss, matte or uncoated and you can get them printed in full color as well as black and white. The next thing that you need to do is, uploading the artwork for the cover and the design that you want to be displayed. Upload the ready to print PDF version of the artwork. Or you can upload the design and we can fix it on your behalf. If you have one extra day for a turnaround, then you can also get the PDF for proofreading. At PrintPapa, we especially recommend this step to those who are placing their order for the first time with us. So, when you are thinking of getting a glimpse of what you will get, click on this option too. Now, as you know how to place your online printing order for booklets, with us, what are you waiting for? 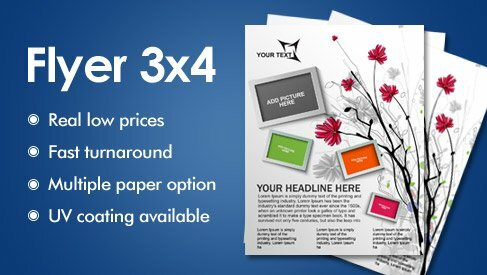 Visit http://www.printpapa.com today for high quality printing services and place your order. You can call us too at 408-567-9553 now. This entry was posted in Marketing on March 13, 2019 by Mitali Ghosh. When you are marketing your business, you must not leave any stone unturned. You must think of using every avenue possible while using all your options. When you are thinking of using the digital options for the promotion, have you thought of using print media too? If no, then you must do it right away. Offer your customers something that will be not only informative but will also add some value in their life. In that case, there is no better alternative to catalogs. At PrintPapa, we get a lot of orders for catalog printing which is surely a very positive thing as people still understand that catalogs are very much relevant as a marketing tool, even in the middle of digital boost. How you can achieve more with affordable catalog printing services like us? Read the following points. If you are thinking of placing your order with us or any other company of online printing services, make sure you are ordering in bulk. Depending on the general pricing of catalog printing, you can actually get more returns on bulk order. The pricing will certainly go down while there will be more promise of maximized ROI. There is no dearth of people’s interest in “How to…” They are always eager to know different steps and tricks. Use these types of contents in your catalogs so that you can offer your customers something with added value. Provide them with the relevant information or a set of instruction so that they can use it. Catalogs are versatile. 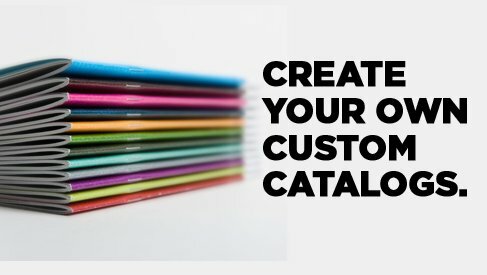 You don’t have to wait for a discount or product launch to promote your brand with catalogs. Normal information sharing or offering brand story can be done with this tool quite easily. 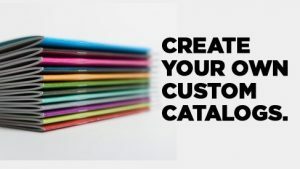 So, now as you know about these ways you can use catalogs for your brand marketing, don’t waste your time. Visit http://www.printpapa.com and place your bulk order with us now. We are a BBB accredited company for online printing services California, offering fast turnaround and 100% client satisfaction. This entry was posted in Marketing on March 7, 2019 by Mitali Ghosh. At our store, PrintPapa, we are currently experiencing a surge of postcard marketing. Thankfully people have realized the amazing potential of postcards as a promotional tool. So, when you are looking for ways to promote your discount or the product launch, we would suggest you reach the doorsteps and appeal to the consumers personally with the help of printed postcards. Now, when you are planning to get postcard printing, you also must think of marketing it properly so that it can serve the purpose. So, if you are hiring us or any other online printing services, keep the following tactics in mind. There should be an aim for your postcard marketing. You need to figure that out. For example, you are opting for custom postcard printing for promoting your new product range that will blow the mind of your customers. Or you are promoting the seasonal discount with it. Or you are informing them about your new showroom opening. In any case, the aim will be different, from increasing footfalls to increasing sales. Try to know what you are looking forward to and then use the postcards accordingly. This is another thing that we always keep telling our customers. When you are hiring online printing services California, provide them with a high-resolution image for the postcard so that the graphics don’t get pixilated and the quality of the postcard remains great. You want your message to be conveyed and to be legible. For that, you need to use the right font and color so that the message becomes loud and clear to your target audience. So, now as you know about these tactics, surely you can pull off a successful postcard marketing campaign for your brand. For more assistance and ideas, come to us at http://www.printpapa.com or call at 408-567-9553 now. This entry was posted in Marketing on February 28, 2019 by Mitali Ghosh. Are you organizing an event any time soon and wondering how you will be able to increase the footfall at the event? If yes, then you must make sure that you need to use all the avenues that are possible. Obviously, you are sending out messages and posting on your social media channels every day. But do you know that this won’t be enough, especially when you are trying to reach out to your local audience? Yes, when you are thinking of reaching out to the local audience, print media for promotional purpose can work like wonder. So, when you are doing it, make sure that you are printing flyers too. Flyer printing is an extremely effective tool when it comes to promoting an event. But if you take a look around, there are a lot of people who are doing it. So how can you stand out from the crowd? We, at PrintPapa, always suggest a few things that we are going to mention in the following points. There must be the main attraction in your event. You must have invited a big singer or performer for the event. Or there is a special performance that will be surely a crowd puller. In any case, make sure that you are highlighting that in your flyer. When you are getting flyer printing online, instruct the agency you are hiring so that they use different font and color to highlight this attraction. When you are hiring the online printing service and providing them with the design, make sure they are printing it in a way so that it can be easily legible from a distance. When the target audience will be getting the flyers, it is obvious that they will see it on the move. Easy legibility will make sure that the message is conveyed. We, at PrintPapa, one of the renowned stores online printing California, make sure that we add a clear CTA (Call To Action) in the flyers. So, when you are thinking of designing the flyers for the event, make sure you are giving out the contact information or a clear direction that the audience can follow. So, now as you know about these tips, what are you waiting for? 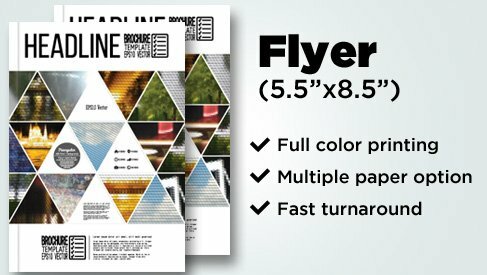 If you are looking for reputed flyer printing services, come to us at PrintPapa. We are a BBB accredited company offering complete satisfaction and right worth of your money. For more details, call at 408-567-9553 or visit http://www.printpapa.com now for more details. This entry was posted in Marketing on February 20, 2019 by Mitali Ghosh. While running the business at PrintPapa, we get to know what different types of demands the customers can have. And if we start to count, one of our most popular products is the banners. When it comes to banners, it is not just the outside display ones that get used. There is also a quite high demand for retractable banners in our store. Now, you might wonder, where these banners often get used. Well, here, I am going to tell you about the common uses of the retractable banners. Take a look. When a business participates in a tradeshow, they are placed in a huge hall or indoor stadium where they have to allure the audience in their stall with the attractive display that will be eye-catching while easily transportable. Retractable banners can be the best tool to serve the purpose. Lightweight, sturdy, easy to design, easily transportable and affordable, these banners, when displayed at the entrance of a stall can easily attract a huge number of potential customers. Opt for this type of banner printing if you are looking for the most cost-effective way for tradeshow marketing. Have you invited some delegates to your conference where you are probably going to educate them about your venture, new products and anything that is relevant to them? In that case, before they enter the hall, it is better if you are already giving them a glimpse of what you are waiting for. If you hire banner printing services and order the retractable ones, it will easily serve your purpose. For the promotion of events, online printing plays a pivotal role. Announcing the main attractions of the event while making sure to visually attract more and more audience, this task becomes easier with a stunningly designed retractable banner. Let the crowd get the feel of the event even before they enter the venue. So, now as know these uses of retractable banners and already searching for a reliable store for online printing California, come to us at PrintPapa. We are a BBB accredited company that offers quick turnaround time with 100% client satisfaction. For more details, call at 408-567-9553 now or visit http://www.printpapa.com to place your order. This entry was posted in Marketing on February 12, 2019 by Mitali Ghosh. Are you a budding writer, planning for fun and adorable booklets for kids? If yes, then you are probably looking for a reputed online printing store that will understand your needs and make the printing endeavor successful so that you can publish the cute and fun booklets that will not only easily grab the attention of the kids but will also make the storytelling an interesting and creative art for you. We, at PrintPapa, offer you our end-to-end booklet printing at the most affordable rate. Now, if you are wondering how our online printing services can help you, then you must take a look at the following points to know more. When you are placing your order with us for the first time, it is obvious that you will be skeptical about our service. Undoubtedly, it is necessary that you become able to trust us enough before you place a bulk order with us. However, when you are ordering with any company, there is always the need of placing a certain quality of order with them. But, at PrintPapa, we understand your predicament and that is why we don’t determine any minimum quantity of order. First, try us with a low number of booklets and once you can trust us, you can place your bulk order with us. We also provide you with the samples for proofreading before you finalize the order. When you are printing booklets for kids, it is necessary that you make it colorful and fun to look at. Knowing this requirement, we, at PrintPapa, offer you the full-color printing options with easy customization facility. Choose the number of pages you want, give the design and leave the rest on us. A booklet for kids should be glossy and quirky to look at. 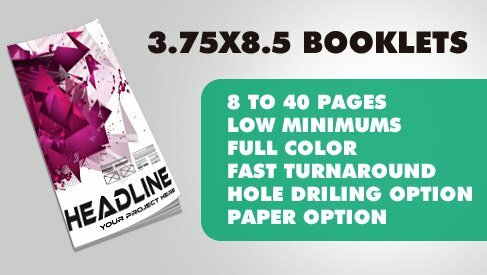 At PrintPapa, we offer a plethora of options for pages for cover as well as inner pages. So, when you are availing our booklet printing services, be rest assured, your children readers are going to find the most adorable booklets for stories. So, now as you know why we are trusted for online printing California, what are you waiting for? Place your order with us today. Visit http://www.printpapa.com now or call at 408-567-9553 for more details. This entry was posted in Marketing on February 1, 2019 by Mitali Ghosh. If you are thinking of reaching out to the wider audience instantly, it is necessary that you think of the most effective tools that can immediately appeal to the target audience. For that, we at PrintPapa, suggest you go for flyer printing. Now, when it comes to promoting your products for the local audience, you need to keep in mind that there are many competitors already who are also working hard to get the visibility as much as you want. So, it is better that you think of doing something different so that your flyers stand out from the crowd. If you are wondering what you can do, we, the professionals from PrintPapa are giving you some expert tips. Take a look at the following points to know more. If you are wondering how you will make the consumers understand that your service is relevant to them, then it is necessary that you make them understand how you can solve a problem for them. When a potential consumer is looking for a related service, he or she is willing to know how your company can help them out. Bank on that. Instead of being cryptic, tell them directly how you will solve their issue. Keep this point in mind while going for flyer printing for your brand. You might feel really tempted to give away a lot of information to the consumers, alright. But flyers are not ideal for that. Instead of cluttering with too many talks, get to the point straightaway. This way, your flyers will look clean and precise while you will be delivering the message of your brands to them loud and clear. Instruct the online printing services you are hiring accordingly. Your potential customers are waiting for a direction. So, when you are thinking of reaching out to them, make sure that they are getting the right direction from your end. Add a proper Call-to-Action in the flyer by adding your contact details and a clear direction for what the consumer should do. . Instruct the service of flyer printing online accordingly. So, now as you know about how to make your flyers stand out from the crowd, what are you waiting for? Find out reliable online printing services or come to us at PrintPapa. We offer affordable custom printing at fast turnaround time. For more information, call at 408-567-9553 or visit www.printpapa.com. This entry was posted in Marketing on January 25, 2019 by Mitali Ghosh. When it comes to marketing your brand, it is necessary that you think of outdoor advertisement to boost the endeavor. And for that, outdoor banners can be extremely helpful. Attractive, cost-effective and extremely visible, outdoor banners are known for helping brands through ages. So, when you are thinking of investing in print media for promotion, undoubtedly go for outdoor banners. Now, when you are going for banner printing for the first time, it is obvious that you will be thinking of a lot of things to get it right. Take a look at the following tips that we, PrintPapa, offer you for that. When you are placing outdoor banners somewhere without a solid surface to support it from behind, it is a better idea to get the edges hemmed or reinforced. 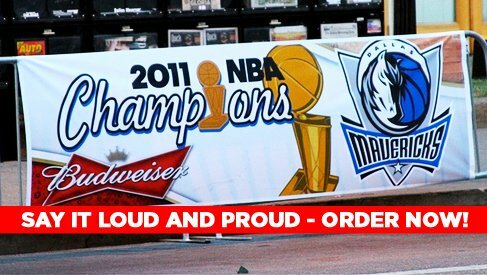 This will make the banner quite rigid and durable so that it can withstand the extreme weather element. It is obvious when you are going for banner printing online; you surely want it to last for a long time. And that is why having wind slits in the middle of the banner is necessary to let the air pass through so that it prevents pressure on grommets holes. 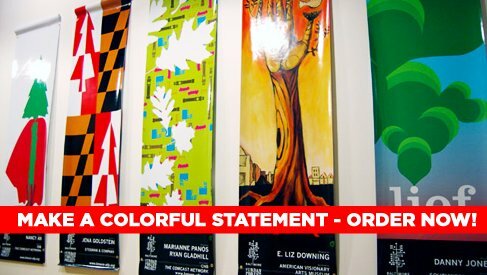 Often we, at our online printing store, hear our clients ask for PMS colors to be printed for banners. We can do it with CMYK process, yet you must be flexible about the color that you are looking for. In fact, opt for pleasing color more so that your outdoor banner remains visible from a distance without many compromises with the color or the resolution. Make sure you are choosing the right ink while talking to banner printing services. For example, we use ECO-SOL MAX INK as it ensured clear printing and maximum readability even from a distance. We also offer a huge selection of colors to choose from too. So, now as you know about these tips, don’t waste time anymore. Find a reputed service for online printing California or come to us. We are a BBB accredited company and offer 100% client satisfaction. Call us now at 408-567-9553 or visit http://www.printpapa.com for more details. This entry was posted in Marketing on January 15, 2019 by Mitali Ghosh.